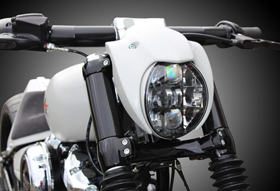 RS Motorcycle Hand Controls are direct replacements for the stock Harley levers or can be installed on any custom motorcycle. 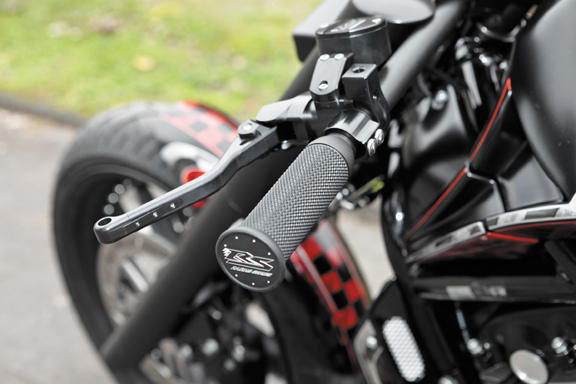 CNC machined out of billet aluminum, our RS Motorcycle Hand Controls feature a very high tech racing look. The same master cylinder can be installed as a brake master cylinder or as an hydraulic clutch master cylinder, just flip the reservoir and lever. 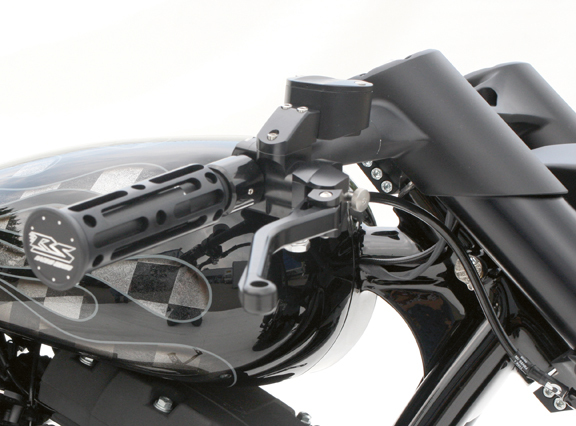 RS Motorcycle Hand Controls feature 9/16 inch bore and fit 1 inch handlebars. 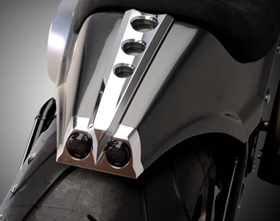 Superb engineering, smooth lines and compact dimensions make for a unique product, which will give your motorcycle the distinctive look it deserves! 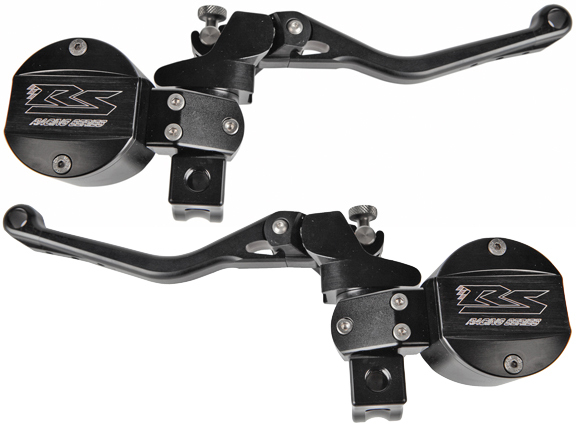 Our RS Motorcycle Hand Controls look great alone or combined with our Super Smooth Motorcycle Switch Clamps and our RS Motorcycle Front Fork for Softails. NOTE: master cylinders are sold individually, not in pairs. What about price? Very nice looking. To check all prices, just click the BUY NOW link immediately above the pictures.